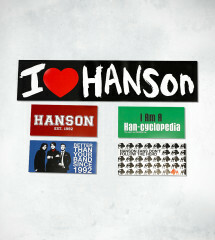 The Paintings of "Shout it Out"
In early 2010, as a part of the release of HANSON's 5th studio album, "Shout it Out" the band set out to create a robust album package that shined light on the experience of listening and connecting with music and art, by putting together an unprecedented selection of items all infused with their love of art and the vibrance which reflects the music on "Shout it Out". 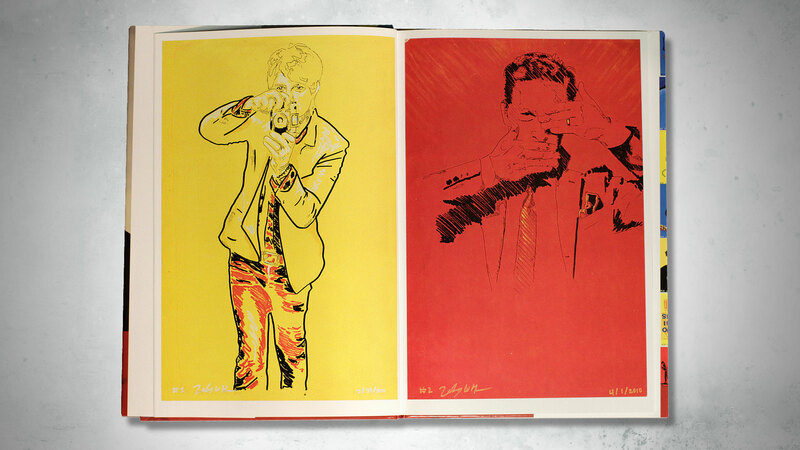 These platinum packages included a custom record player,headphones,photobook,LP,Screenprinted poster,documentary,listening manual and special unreleased demos from the album, but most importantly, each package included a one of a kind painting each one crafted by a member of the band. 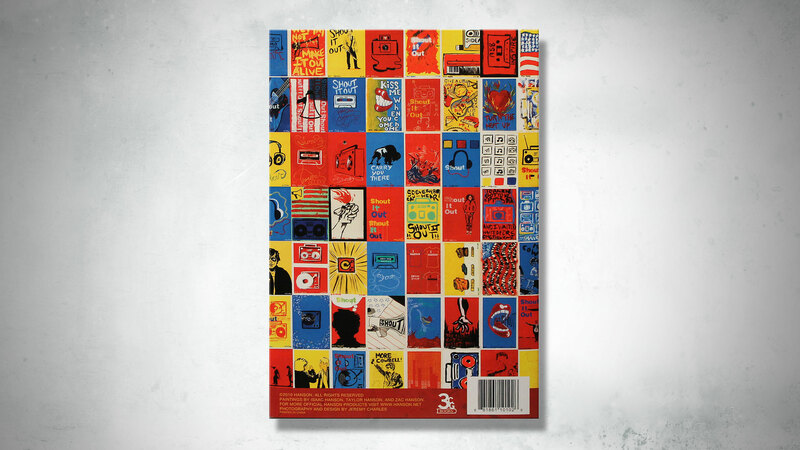 Over several weeks leading up to the album's release, 113 custom paintings were created by Zac, Taylor and Isaac, each inspired by the iconic emblems and pop art style surrounding the project. 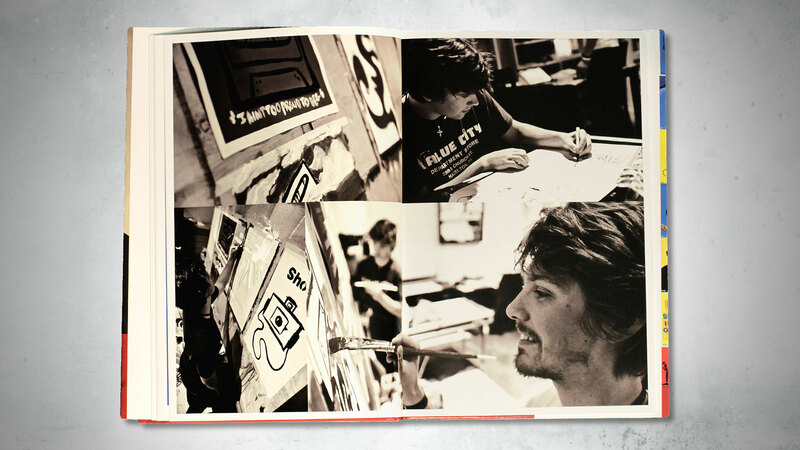 Each of these paintings, individually numbered and signed by the artist, reflect the personal nature and dedication the band has espoused, not only for their music, but for every aspect of their art. 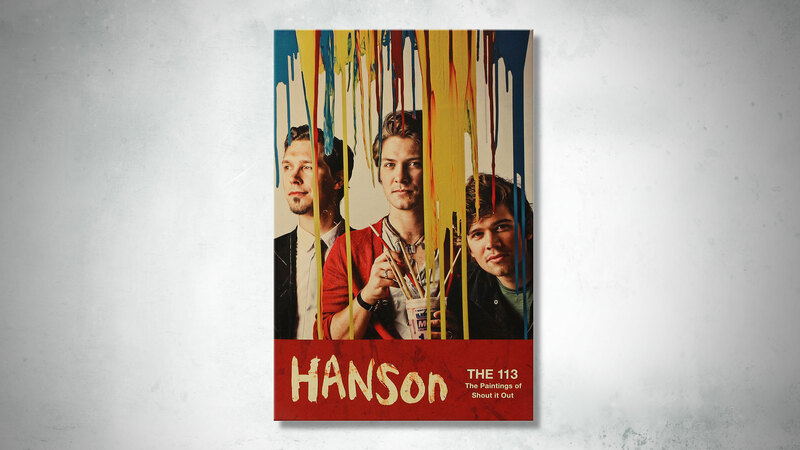 Though the original pieces are now in the hands of 113 fans, this book gathers together the entire 113 paintings collection and presents them as one piece of art, memorializing a truly unique reflection of HANSON and their vision. 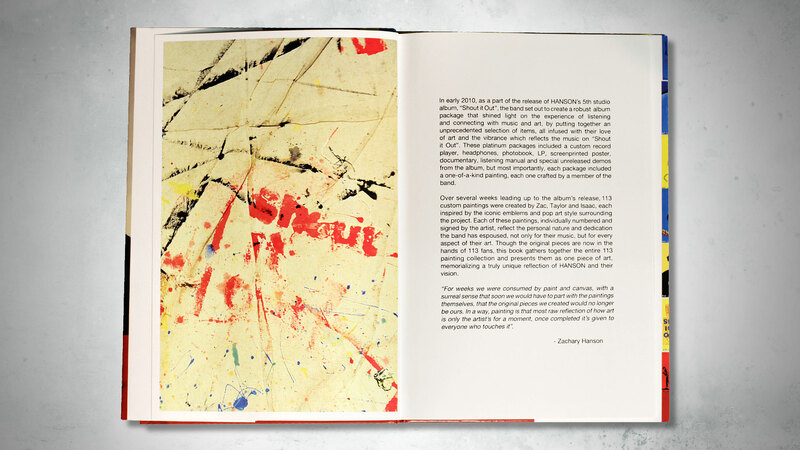 There are over 130 pages filled with paintings and pictures. All pages are high gloss.